Plan your work and work your plan. Know what it is you want to accomplish each day by preparing ahead of time. This time of preparation could be the day before or early in the day prior to starting on work. Planning gives you the big picture of the day and your mind can wrap itself around what needs to be accomplished. Once you start in on your plan you will be more likely to develop a rhythm to your work since you have planned it. The actions that require the most creative thinking should be done when we are at our peak energy level. For some people this is first thing in the morning and for others it is in the afternoon. Whatever time it is, look at your action items and decide which ones require the most mental energy and do those at that time. Interruptions are probably the biggest killer of productivity that I know. It is hard to control them but we must do our best to limit them. To avoid those interruptions, decide you will only return calls and email at specific times of the day, like at 11AM and 4PM. Turn off the email previews that come across your screen so you are not tempted to read them and take your mind off what is important. Limiting interruptions allows you to stay in a rhythm to accomplish more of what you need to do. Review your progress every couple of hours. Notice when you were the most productive and when you were not. If you were not productive think about why so you can learn from it and plan to avoid anything standing in your way next time. Prior to starting on your actionable items, make sure that you have all your information at your fingertips such as file folders, internet access, system access or anything else you will need to do your work. I find that every time I get up from my desk to go get what I need I run the risk of being interrupted by something else that gets my attention. 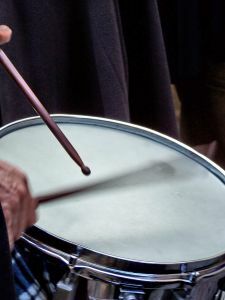 Finding a rhythm is the key to personal productivity. You will be happier and more productive when you are in that rhythm. What have you tried to find that rhythm and what has worked for you?